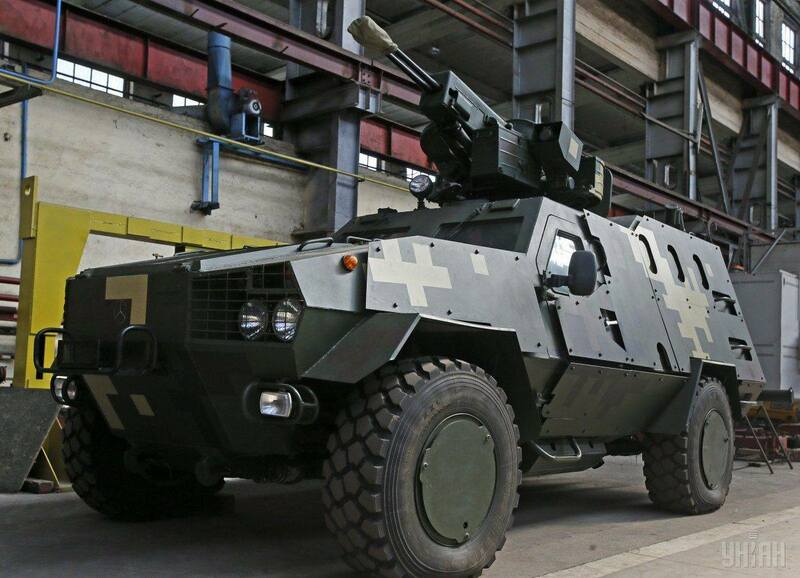 It’s one of the most promising armored vehicles to come from Ukraine in recent years. A fixture in domestic arms shows and a potential export success, the Dozor-B retains a distinct aura of mysteriousness. Its exact purpose is muddled. (What with so many BTR’s scattered between the Urals and the Carpathians.) What can it accomplish? Who is its biggest customer? The short answer is the Dozor-B has proven a bit of a disappointment. 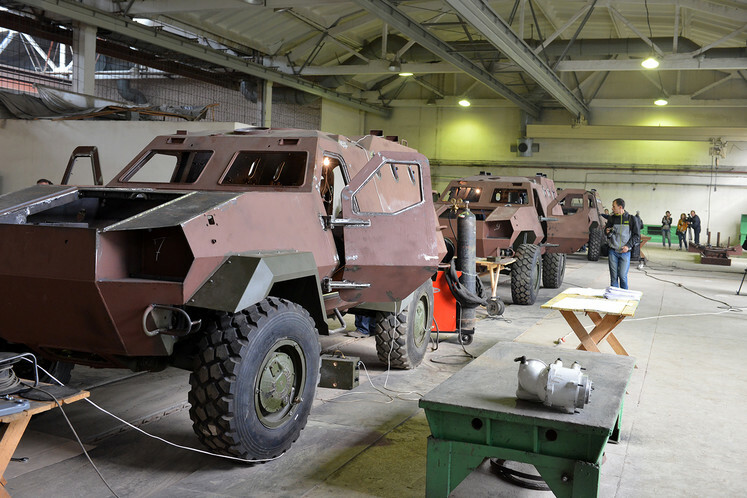 The Dozor-B is an indigenous armored car built on a civilian 4×4 chassis. When it debuted at a Kiev arms show in 2007 it seemed destined for a battle taxi role with special forces. In size and functionality it’s almost a peer of the Otokar Cobra. The hull and body, however, are of welded steel plate with little thought given to extra armoring. 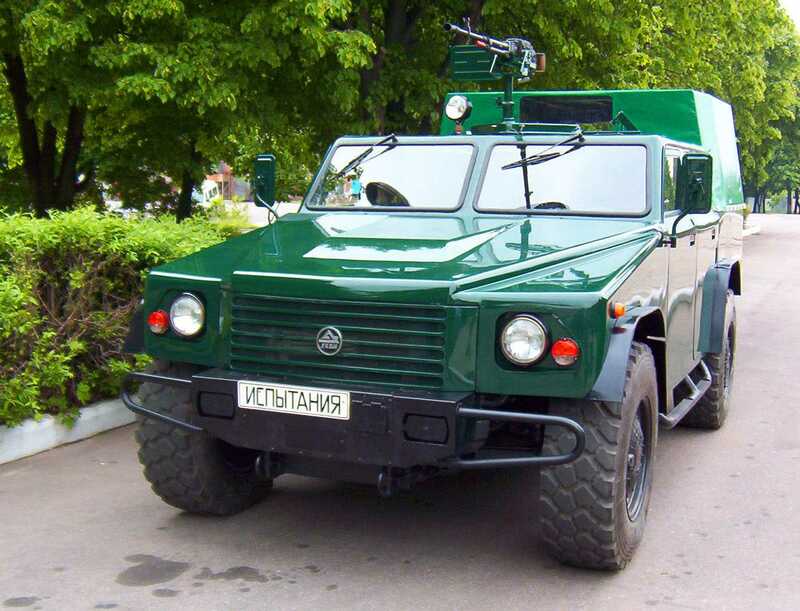 The Dozor-B runs on a Deutz turbo diesel engine and has a top speed of 120 kilometers per hour. (Other sources claim 100 km/h and 90 km/h.) It uses Allison manual transmission and boasts a “modular” design. 3D model of the Dozor-B. The state-owned Kharkiv Morozov Machine Building Design Bureau (KMDB) keeps mum on the Dozor-B’s lackluster record as a vehicular project. Other than a licensing agreement with a Polish automaker the Dozor-B’s career languished for years. 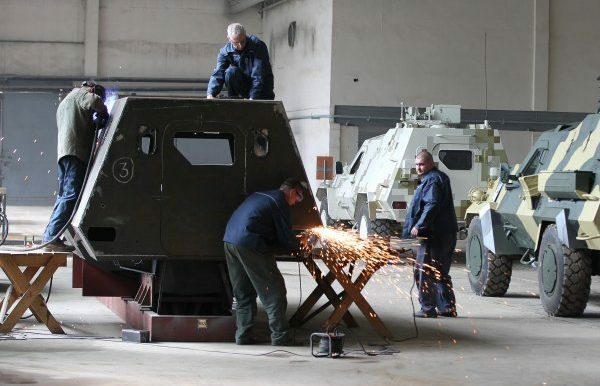 Not even the Donbass conflict spurred its introduction; other 4×4’s by manufacturers like Kraz and Streit Group eclipsed the Dozor-B, which underwent tests in mid-2015 and was found wanting. Upgraded Dozor-B armed with the remote control Vij module, a tandem 23mm gun turret. 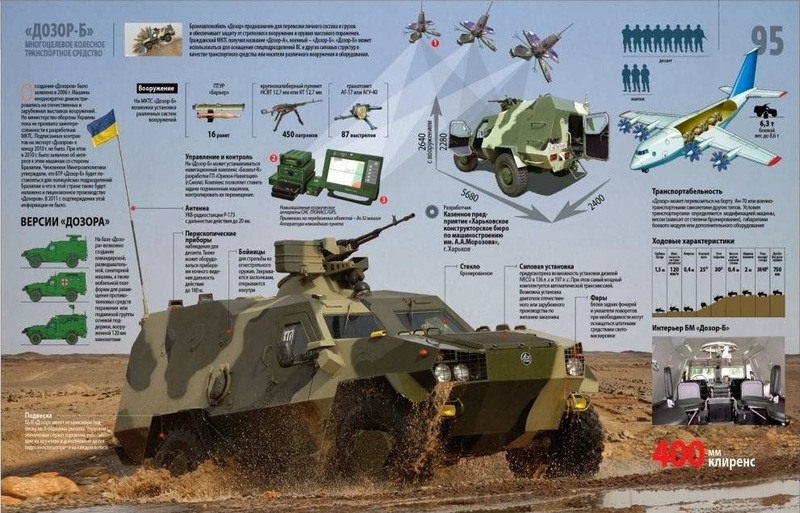 Sifting through conflicting details about its characteristics reveals the Dozor-B is a multirole vehicle that can serve as a truck, an APC, an ambulance, an anti-tank missile carrier, and various other jobs besides. To identify a Dozor-B, simply take stock of its passenger compartment. It’s slightly raised to allow greater internal volume for seven or eight occupants. The cab encompasses a smaller space with enough room left for a single person to man the (optional) turret. A squarish panel crowns its sloping hood and there’s often a towing winch between its headlights. It must be pointed out the Dozor-B isn’t an MRAP. Its fording, gradient, and armor protection are very basic. The best it can take is small arms fire and splinters. Heavier rounds and ordnance are very bad news. The Dozor-B must be overcompensating in one aspect, right? The Dozor-B might be assembled in Ukraine but its parts are sourced from a pan-European supply chain. Problem is it wasn’t until recently when a small batch of Dozor-B’s were adopted by Ukraine’s armed forces. In July 2016 just 10 vehicles, assembled in Ukraine but with parts etc. sourced abroad, were pressed into service. 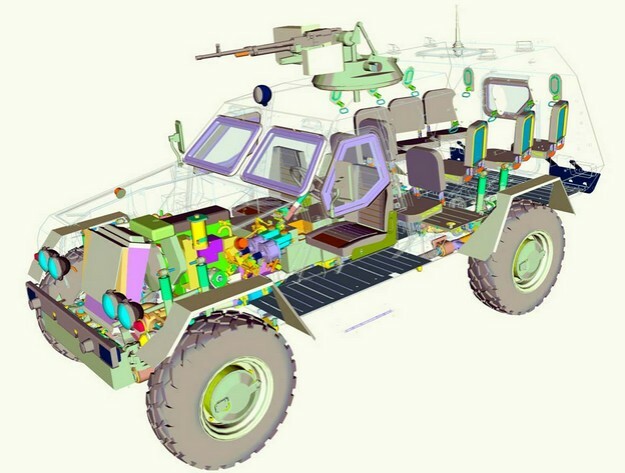 Further production of the Dozor-B remains uncertain owing to quality concerns and the vehicle appears poised for export instead. Meanwhile, the bogged down Ukrainian army deploys an eclectic wheeled fleet–from hand-me-down Humvees to ancient trucks–for lack of choices. An impressively armed Dozor-B was displayed at SOFEX 2016 in Jordan. 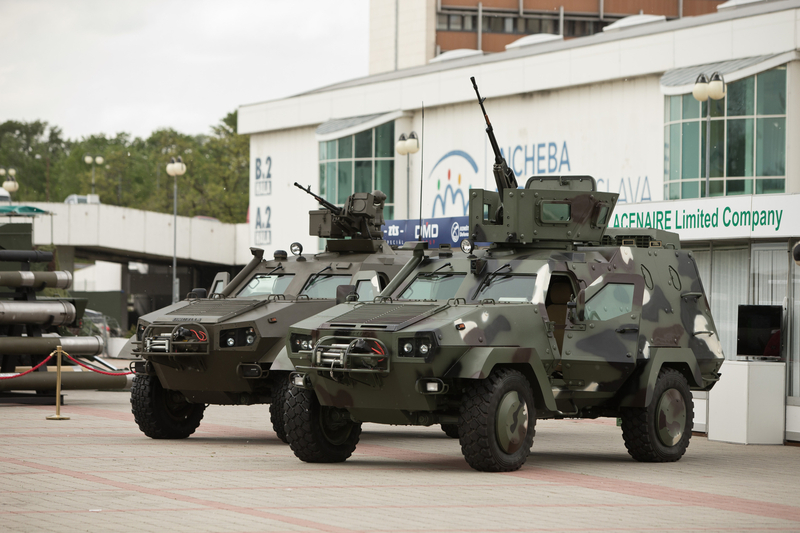 It was a rare moment where the exhibitor Ukroboronprom tried to outdo the regional competition by installing a massive remote controlled turret above the cab–stuffed with two machine guns, a 30mm grenade launcher, and a Skif ATGM. What this graphic doesn’t show are the quality control problems that almost doomed the Dozor-B’s chances at doing its part for the ongoing war with Russia. This could be where the Dozor-B excels in the long run even when it appears condemned to low-rate production limbo, with few orders from the state and nil from abroad. Who can use the Dozor-B? Armies on a budget looking for an affordable wheeled APC and perhaps licensed production down the road will probably see the Dozor-B’s potential. It isn’t the best at anything but it’s at least as good as what China has. In case you were wondering, this is the failed Dozor-A.